You can use Choline for these 7 Incredible Benefits! Choline is a wonderful compound and a member of the B-group vitamins. There is some debate about whether or not people are getting enough choline in their diets, and what the recommended dietary intake of choline actually is! However, one thing is for sure – your body needs choline for a number of incredible important functions. 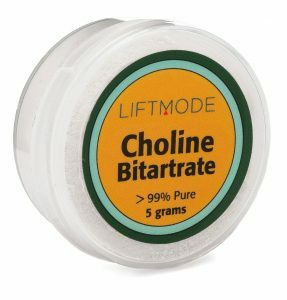 You definitely aren’t going to lose out by adding choline bitartrate to your diet. Not only does choline have powerful Nootropics effects, but it can be used for a number of secondary effects. We’ve outlined most of these in the article below, so enjoy! In 2009, the American Society for Nutrition conducted a study on the choline levels of over 5900 people! They compared choline concentrations in people’s blood to their scores of anxiety and depression. In 2014, scientists conducted a study on 22 professional female martial arts athletes. The women were selected from different weight categories and divided into two groups. The experimental group was given choline tablets for a week, while the control group was not. Choline is great for weight loss! The scientists concluded that choline supplements are effective and can significantly reduce body mass without any side effects. In fact, the experimental group lost an average of 10% of their body fat, in the week of supplementing! Yep! Believe it or not, people are using choline for their dogs and cats. Just like humans, dogs, cats, and all mammals, need choline for their brains and bodies to function properly. Choline supplements for dogs and cats can be used to prevent what’s called ‘doggy-dementia’. This pooch wants his choline! As we grow older, our body produces less and less choline. This has negative effects on our brain and is part of the onset of dementia. The same is true for dogs and cats. So, by giving your dogs and cats choline supplements as they get older, you can help them to have a happier old age! Choline is extremely important for your brain. It helps your brain to work properly, in all aspects. The most important functions of choline are helping with your memory, strengthening your hippocampus, and helping to create acetylcholine: the ‘learning transmitter’. However, some might say that choline is even more important because it is the backbone of acetylcholine. Acetylcholine is called the ‘learning transmitter’. It builds up in synapses (the spaces between neurons) and allows electrical signals to transmit correctly. 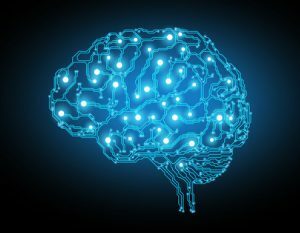 Increased acetylcholine allows for faster cognitive processing and this is where many of the Nootropic effects of choline come from. This one’s a no-brainer! Choline helps with all the functions of the brain, and memory is no different. Another study, this time on over 1300 people between the ages of 36 and 83, looked at choline in their diets and compared it to their cognitive function over time. Between 1991 and 1995, the subjects were asked to complete a questionnaire about their diets – what kinds of foods they ate, and how much. Then, between 1998 and 2001, the participants all underwent brain scans and neuropsychological examinations. Choline is involved in a great number of functions in your body, including the proper functioning of your liver. Your liver uses choline to prevent what’s called ‘non-alcoholic fatty liver disease’. Your liver also uses choline for transporting triglycerides called (VLDLs). This helps to protect your liver from a number of harmful effects. However, as our choline bitartrate is sold for Nootropics effects, we definitely do not recommend using this as a supplement for your child. Please consult your physician and ask about choline for children. You can use choline for a number of great effects. These include the Nootropics effects of choline, which you can read about on our in-depth product description, as well as the effects that we’ve mentioned above. 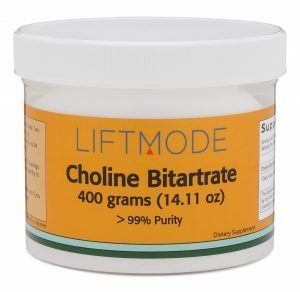 Choline bitartrate is a stable salt form of choline and is a safe dietary supplement. We recommend taking a choline supplement not only for Nootropics effects but also for health benefits.